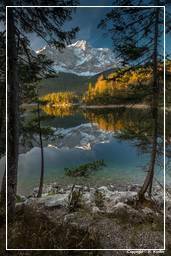 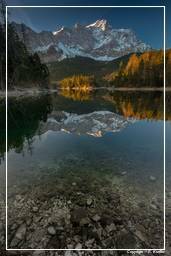 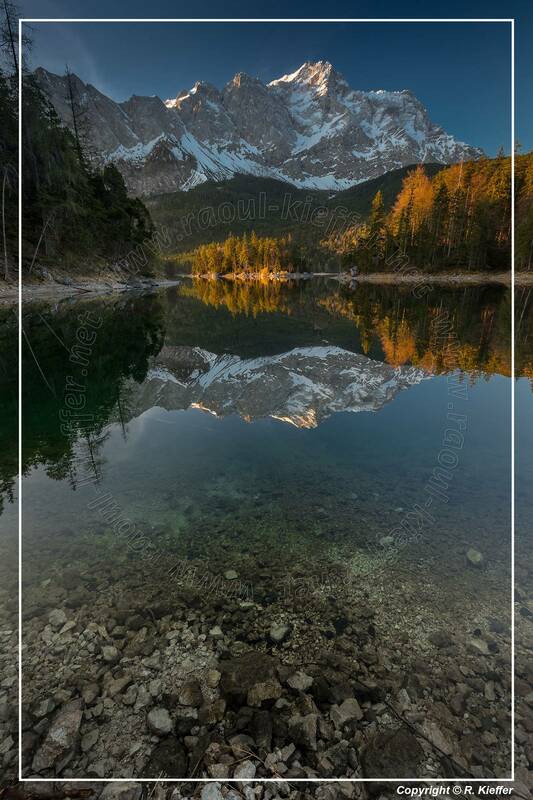 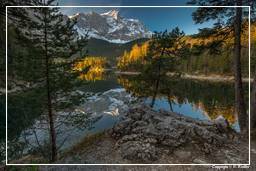 The Eibsee is a lake 9 km southwest of Garmisch-Partenkirchen below (3.5 km north) of the Zugspitze (2,962 m) in the Wetterstein mountains in Bavaria. 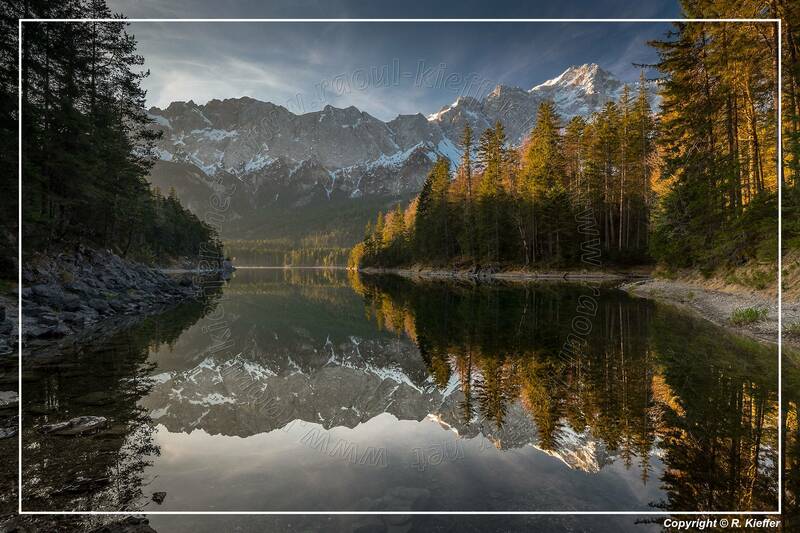 In the northeast is the 4.8 ha and 26 m deep Untersee separated almost completely by a 50 m wide and only 0.5 m deep bottleneck from the main part of the lake, the Weitsee with its 172 ha. 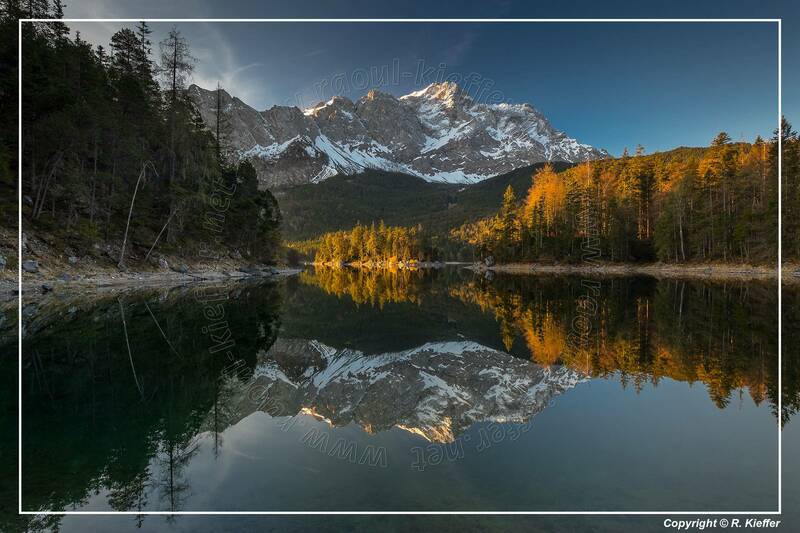 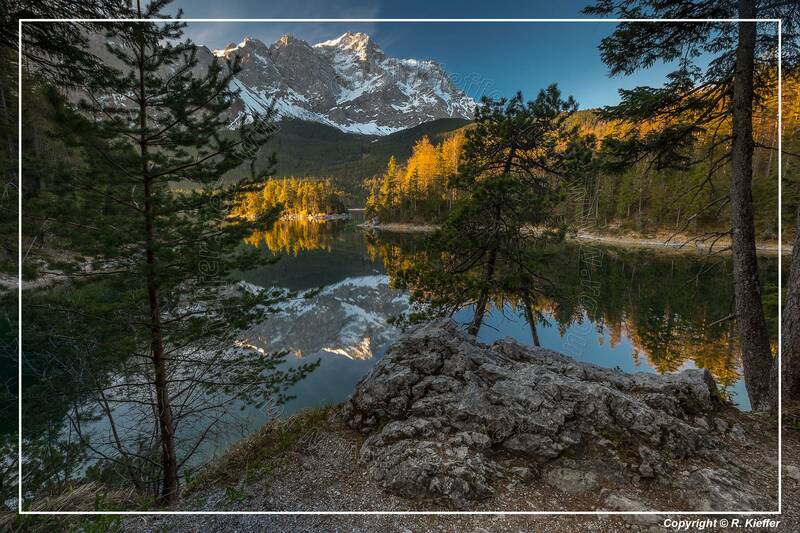 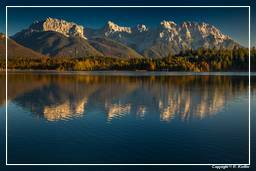 Due to its location below the Zugspitze and the clear, green-tinted water, the lake is considered one of the most beautiful lakes in the Bavarian Alps. 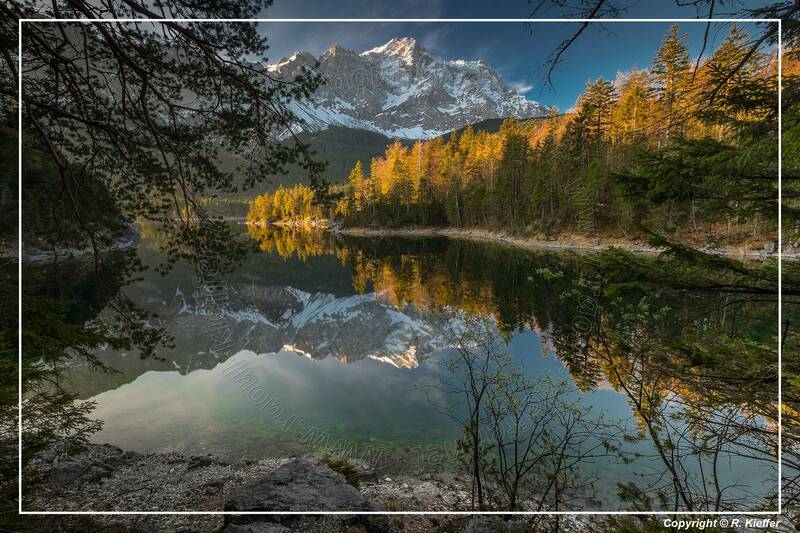 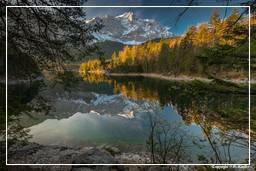 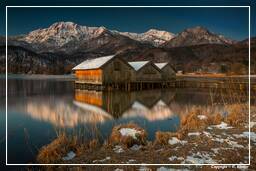 It was created when, at the end of the Würm glacial period, the Isar-Loisach glacier retreated and left a depression that filled with water. 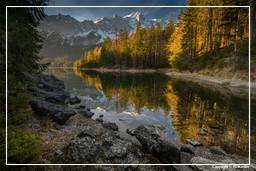 The only significant above-ground tributaries are the Kotbach, which flows into the northwestern tip of the lake, and the Weiterbach in the south. 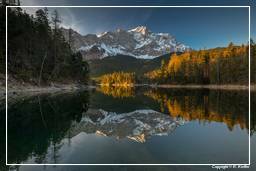 The lake is a lake without surface flow. 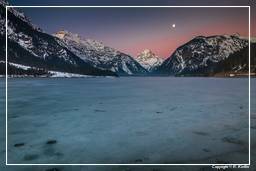 Water due to the pelvic situation can only drain underground or seep away. 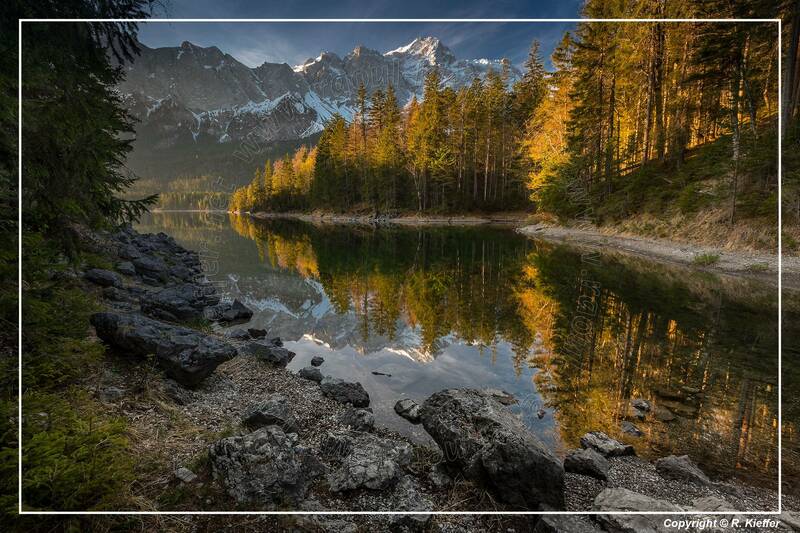 Its name is due to the yew (Eibe in German), which used to be very numerous around the lake. 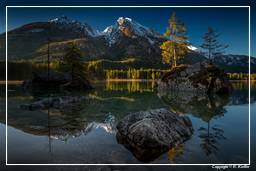 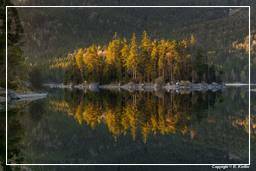 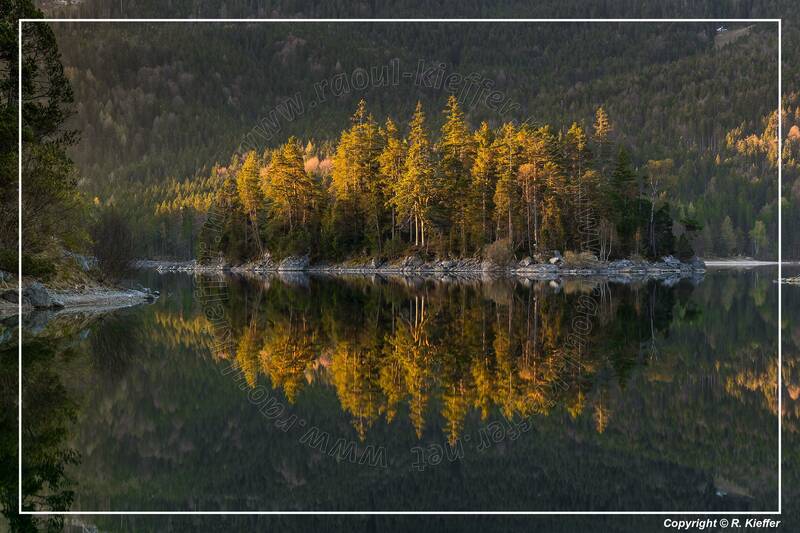 Depending on the method of counting, eight to nine small islands lie along the north side of the Eibsee.